I love this book! More Fabric Art Collage starts where Rebekah Meier's first book leaves off. Techniques...don't we just love to collect 'em? The more the better. Well, here are 64 techniques that you can draw from for use in mixed media, surface design, and embellishment of just about anything. Rebekah features some of the newest materials and products out there, including TAP, Mul-Tex, and Lutradur (which isn't all that new now!). 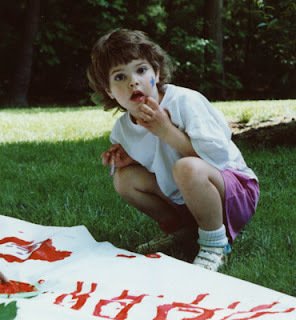 After covering tools and supplies, including basic fabrics and papers, Rebekah discusses in depth the topics of surface design, resists, fabrics, acrylic mediums, alternative materials, paper, embellishments, display, and scrap projects. I'm not 100% sure that I understand why the topics are broken down in this way, but in the end it doesn't really matter. The pure fact is that this is not yet another compilation of the same old same old techniques. Sure, if you've been around the block, you will be familiar with some of them, but I'm willing to bet that there are more materials and techniques here that you haven't tried than there are ones you have. 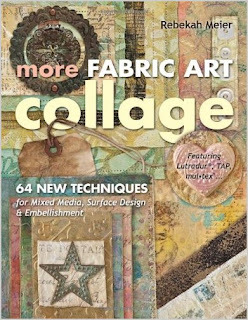 Besides all the fabulous suggestions along the way, there is also a chapter near the end which has 7 full-blown mixed media projects to try in order to get familiar with some of the new materials. I have to say, though, that I look at this book as more of a reference work than a project book, which means it will be on the top of my list for quite some time!